Lexus is quickly expanding its crossover lineup. 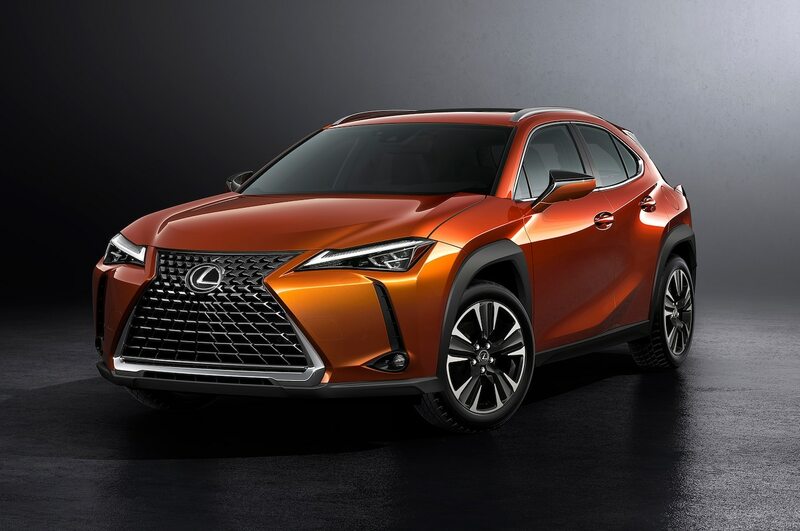 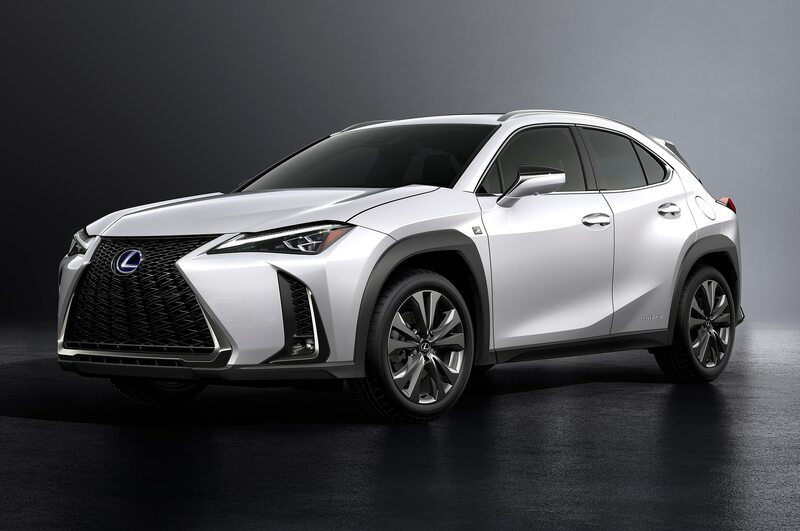 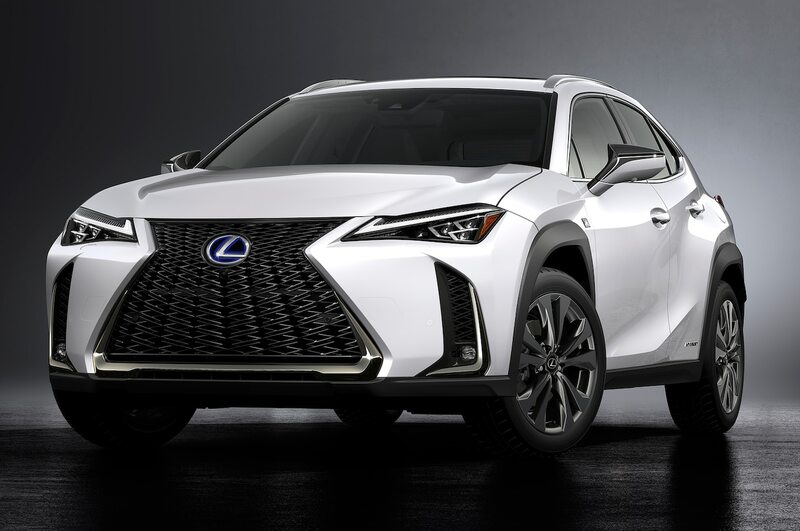 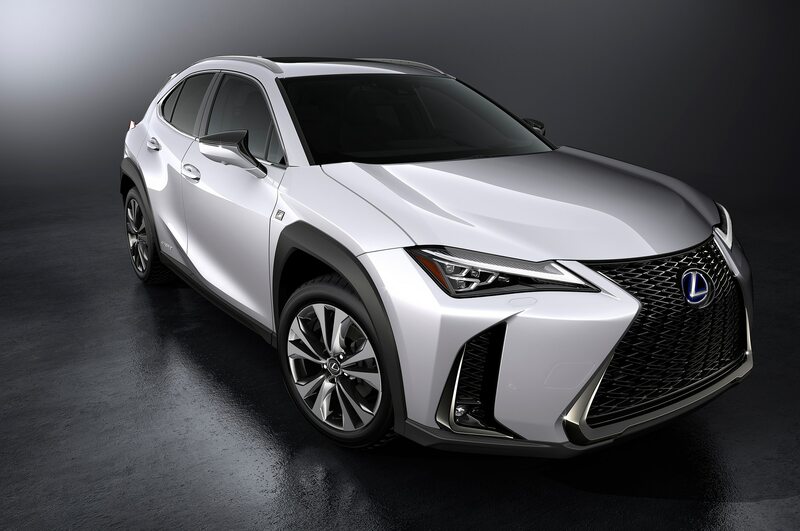 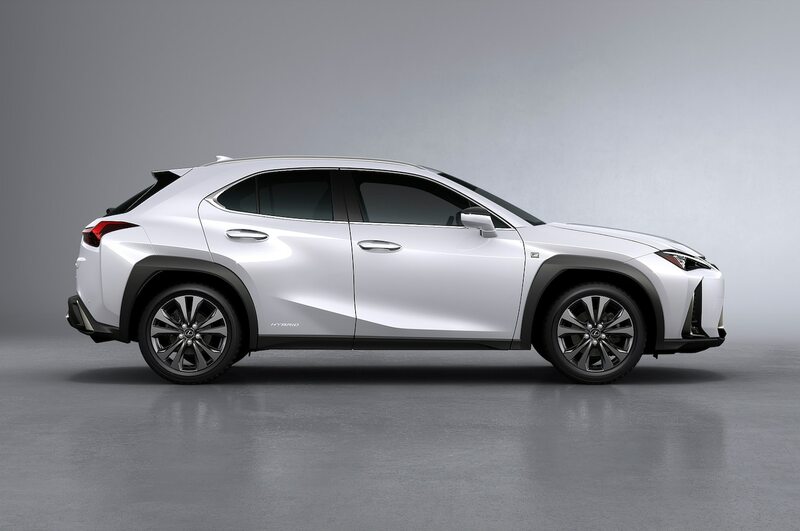 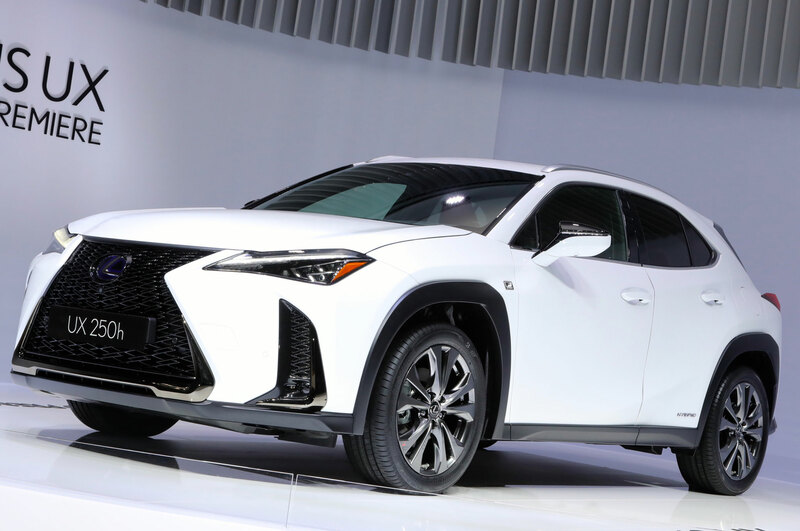 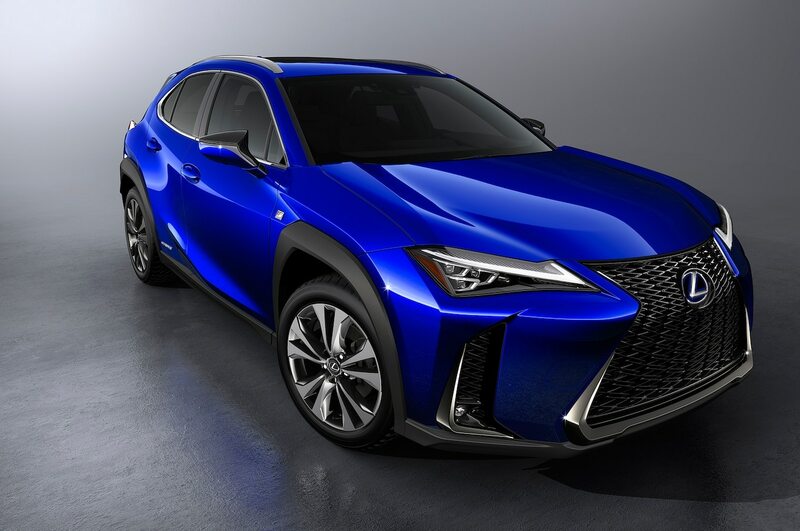 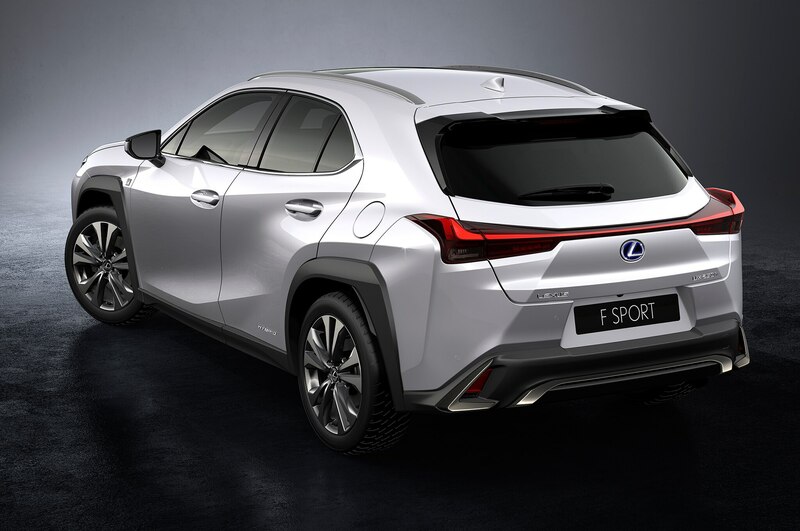 Joining the three-row RX and a two-row LX launched late last year, the new 2019 Lexus UX will sit at the opposite end of the spectrum as a subcompact crossover, below the compact NX. 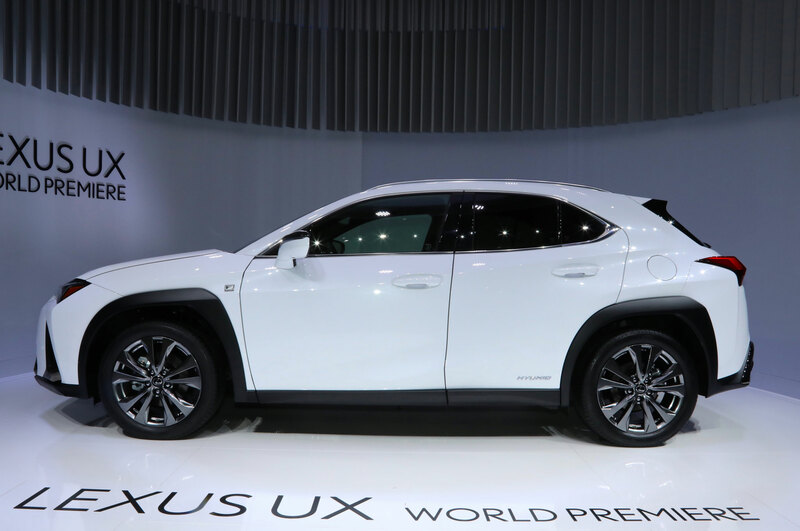 Expect the millennial-mobile to arrive in the U.S. this December. 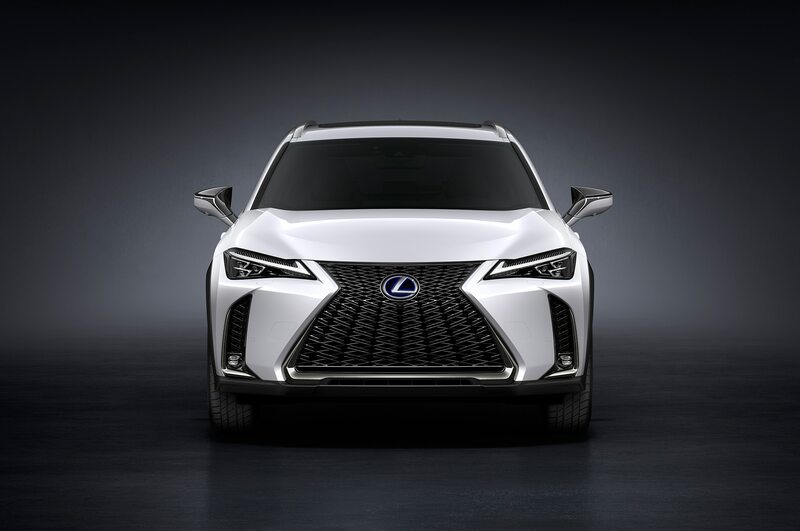 The 2019 UX features the highly contentious spindle grille that has come to define the Lexus brand. 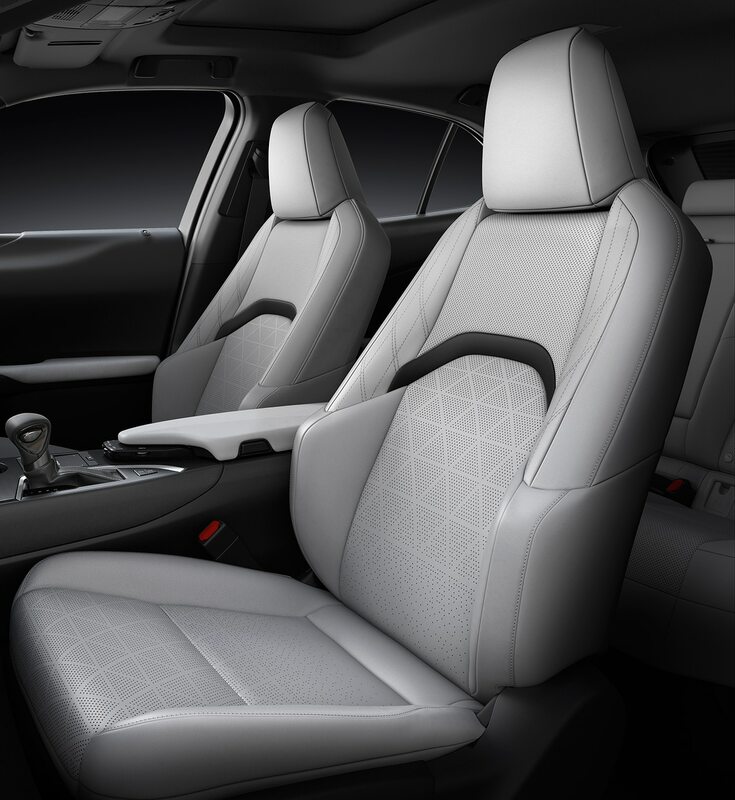 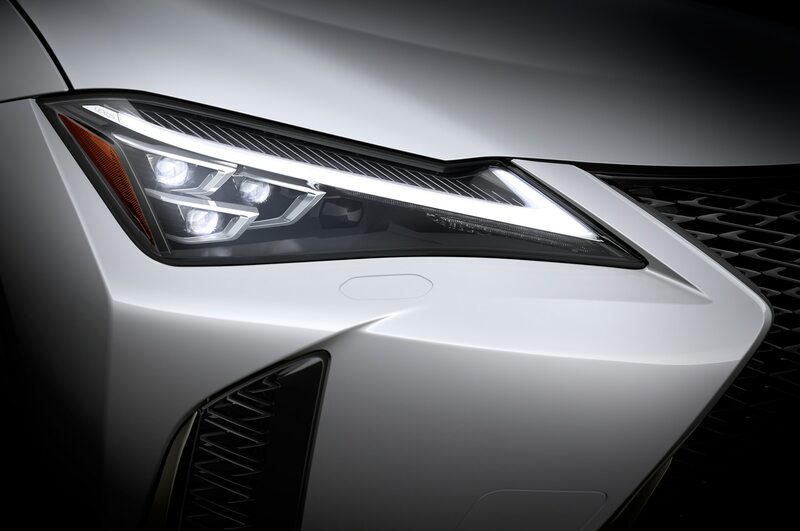 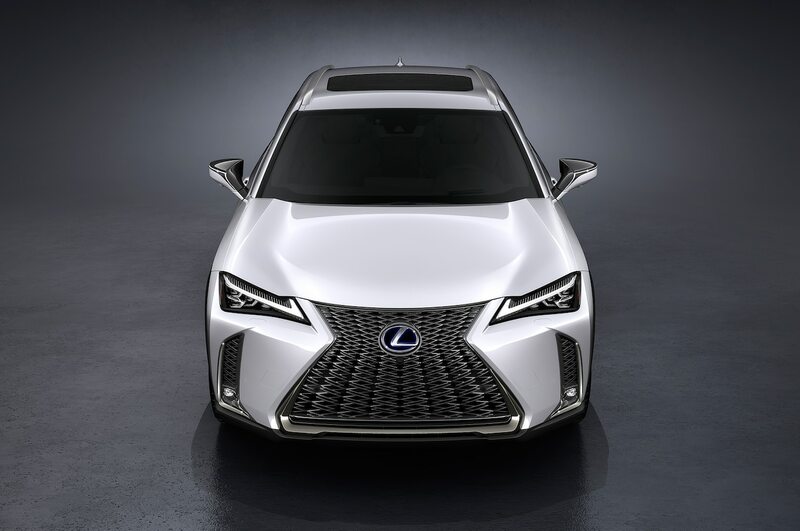 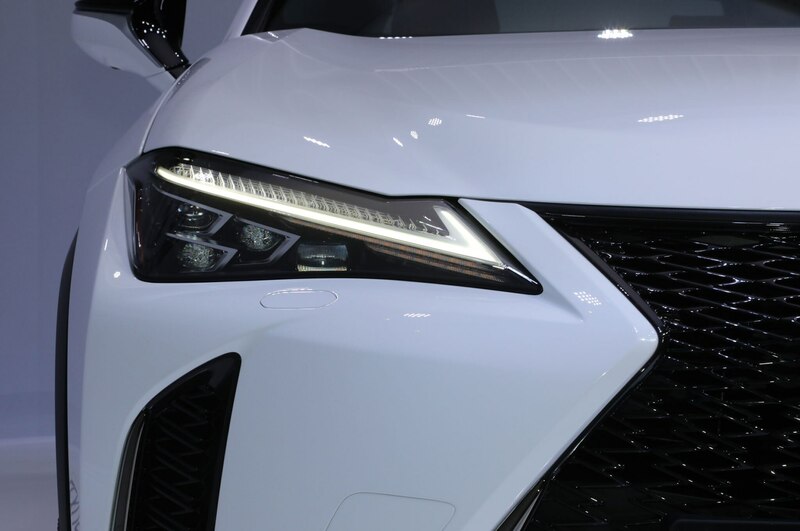 But Lexus has revamped the design so that it features a new block-shape mesh pattern with individual parts that change shape as they radiate out from the Lexus emblem. 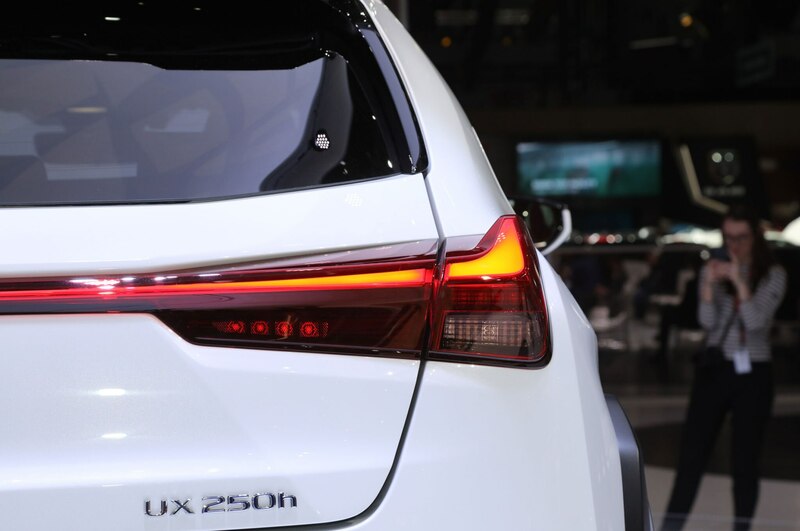 The UX keeps the full-width taillight design we first saw on the UX concept. 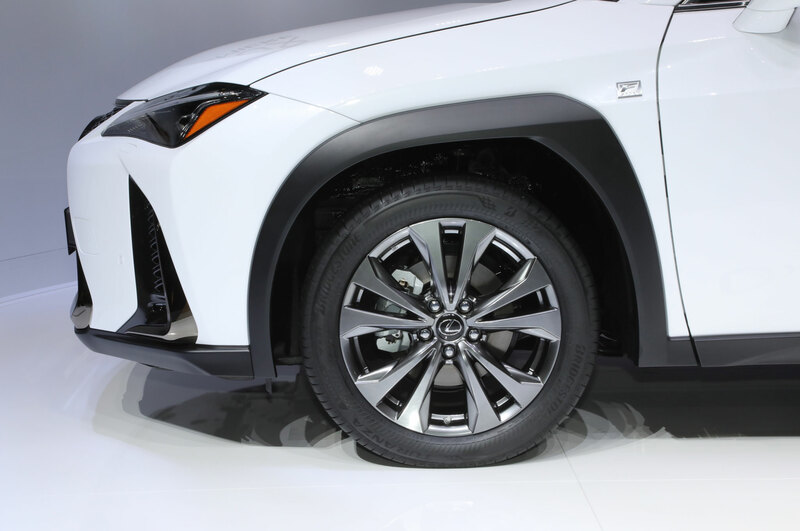 Seventeen and 18-inch wheels cover the range, and there is a special 17-inch wheel that was designed to increase airflow to the disc brakes for cooling purposes. 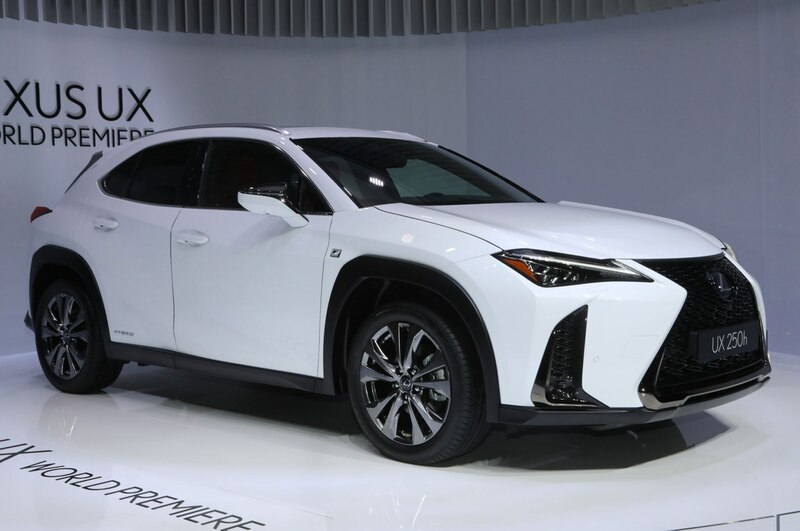 Measuring at 177 inches in length, the UX is 5.6 inches shorter than the 182.6-inch-long NX. 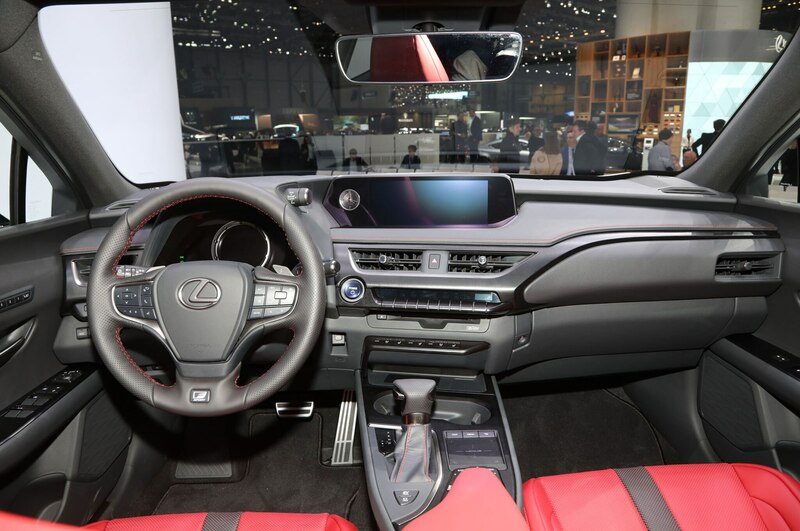 Meanwhile, the UX has a wheelbase of 103.9 inches compared to the 104.7-inch wheelbase on the NX. It is the first Lexus vehicle to sit on a new platform dubbed GA-C. 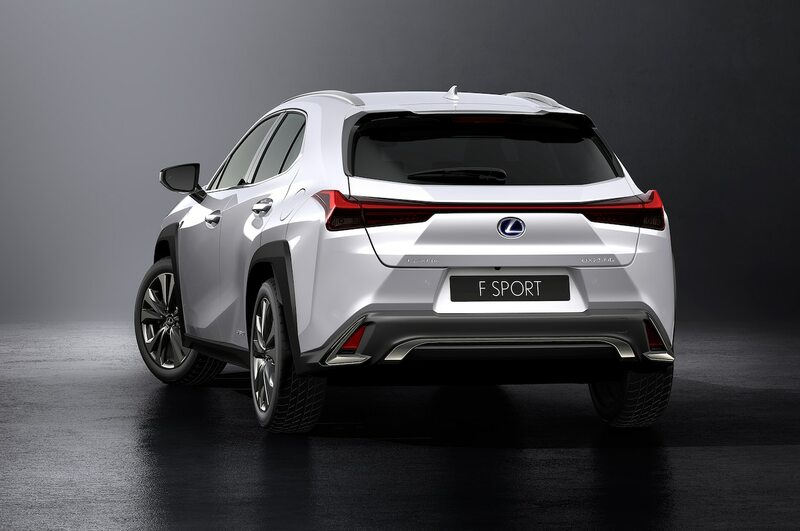 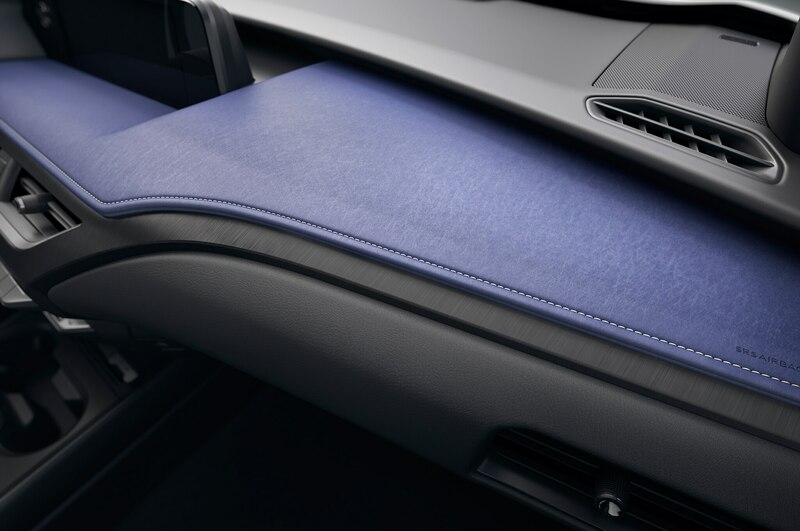 This platform, which stands for Global Architecture-Compact, helps the UX achieve the lowest center of gravity of any vehicle in its class, Lexus claims. 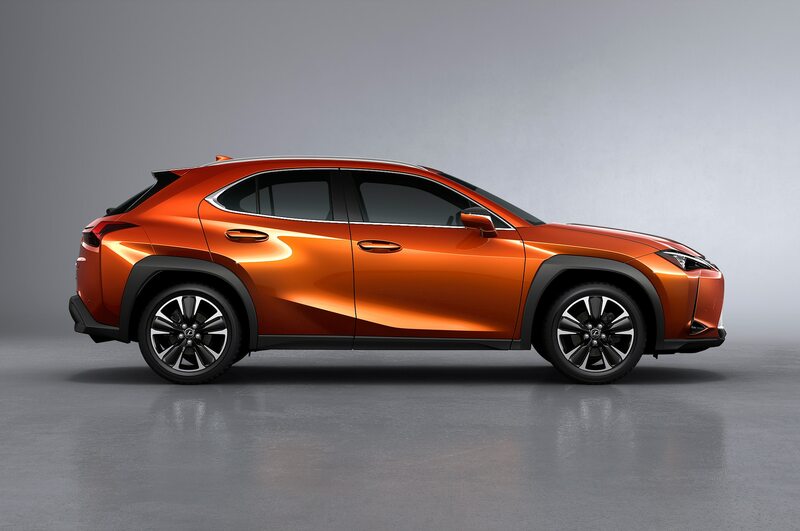 The 2019 Lexus UX should attract buyers in their 30s, says UX chief engineer Chika Kako. 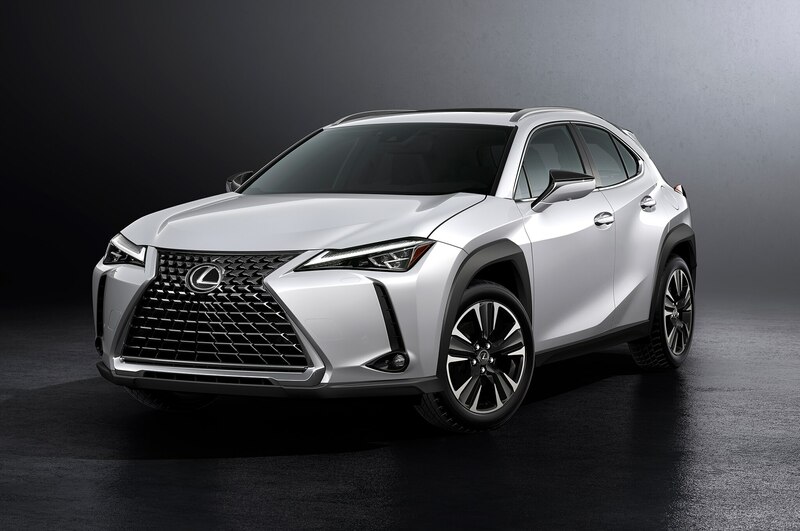 The small luxury crossover is designed for urbanites seeking easy maneuverability in the city, with its claimed 34-foot turning radius. As expected for a city vehicle, power isn’t the main focus of the UX. 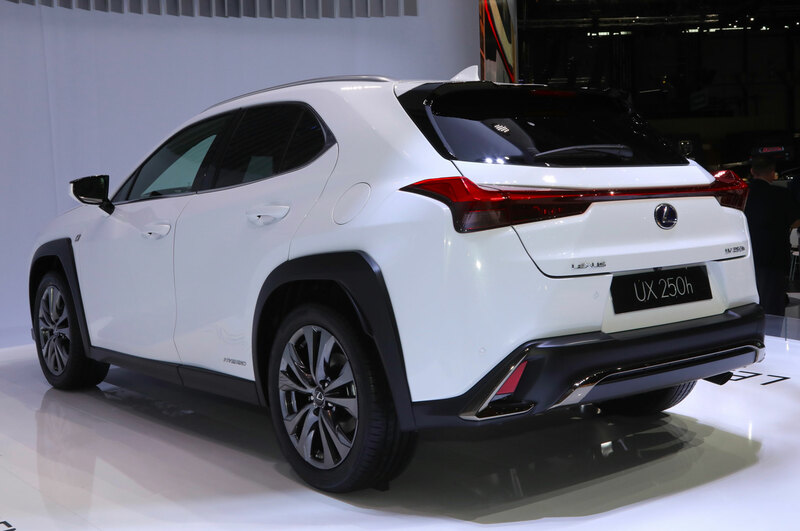 The standard UX 200 model comes with a 2.0-liter inline-four producing 168 hp. 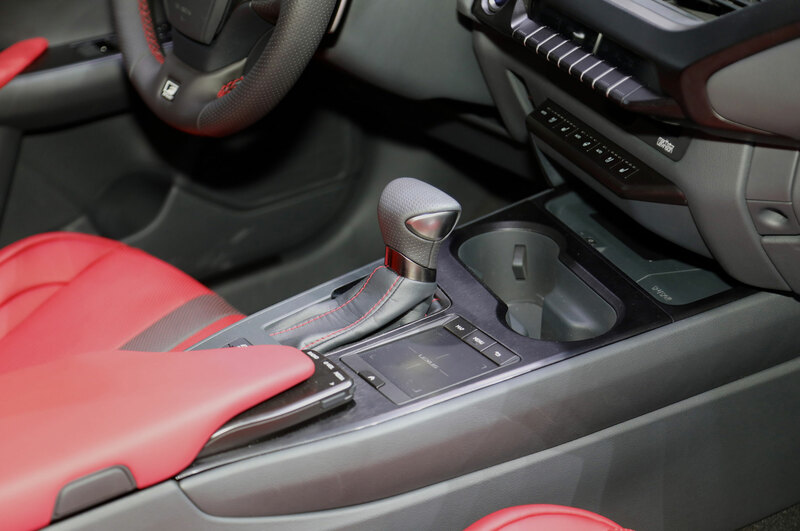 This unit comes paired to a special CVT that uses an additional gearset for starting off from a stop, making it feel quicker than in a traditional CVT, the automaker says. 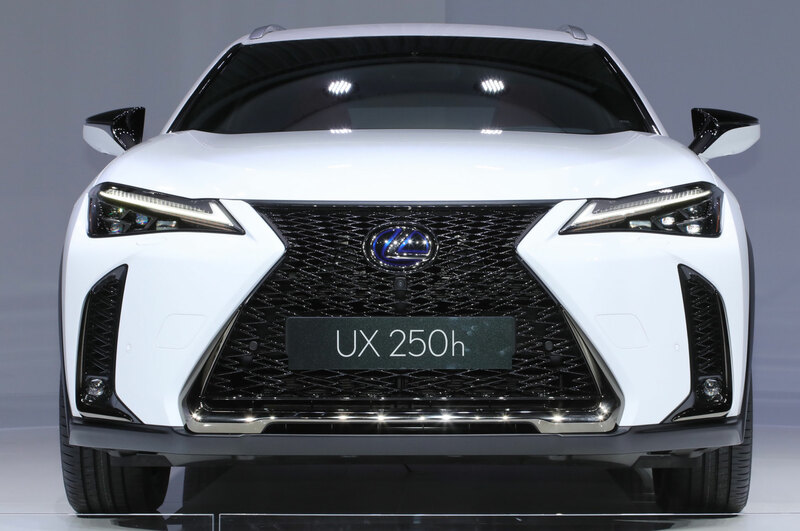 A hybrid version of the UX called the UX 250h will also be available, pairing the same 2.0-liter engine with a nickel metal-hydride battery and motor system. 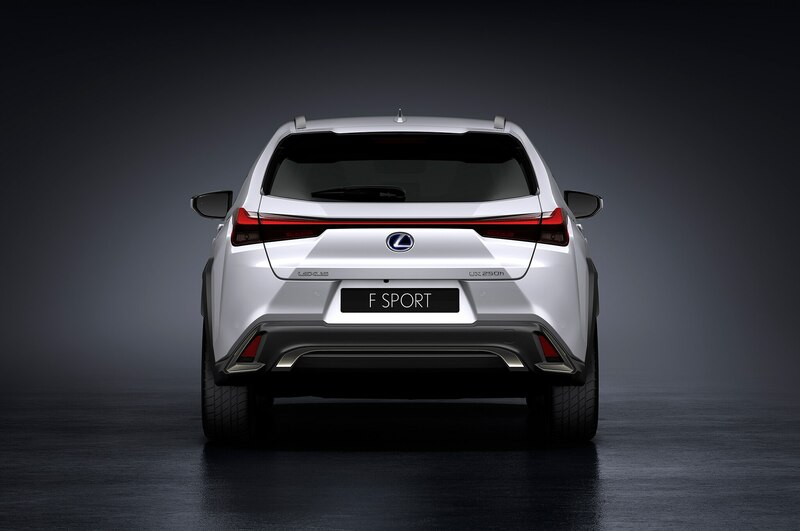 An additional electric motor sits on the rear axle to enable all-wheel drive. 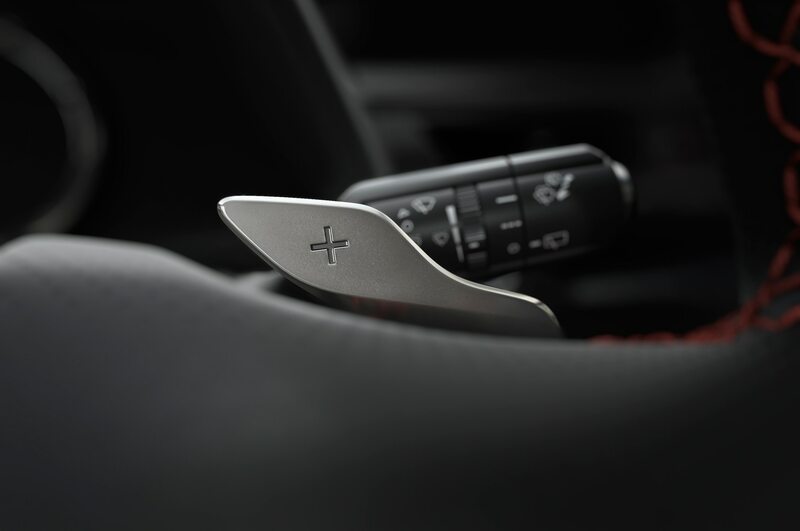 When the UX detects a loss of rear-wheel grip, it sends 80 percent of power to the rear at speeds up to 43 mph to increase stability. 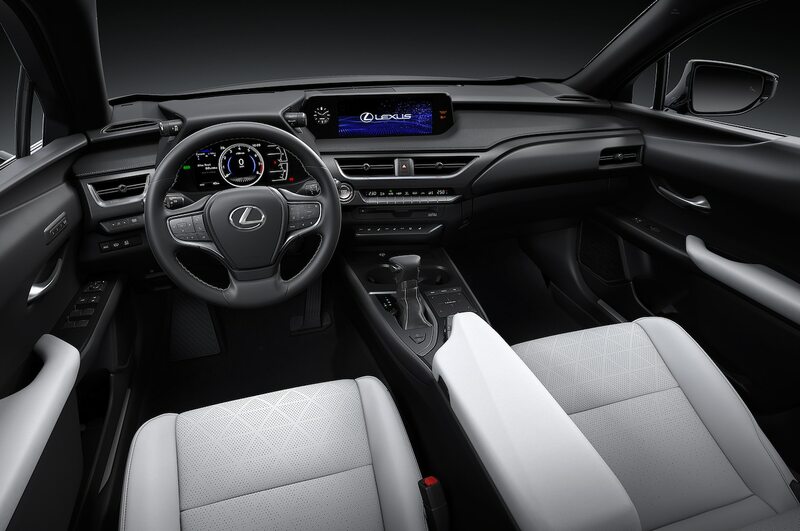 The hybrid model also boasts a feature that analyzes the driver’s habits and current traffic conditions to optimize the use of the battery. 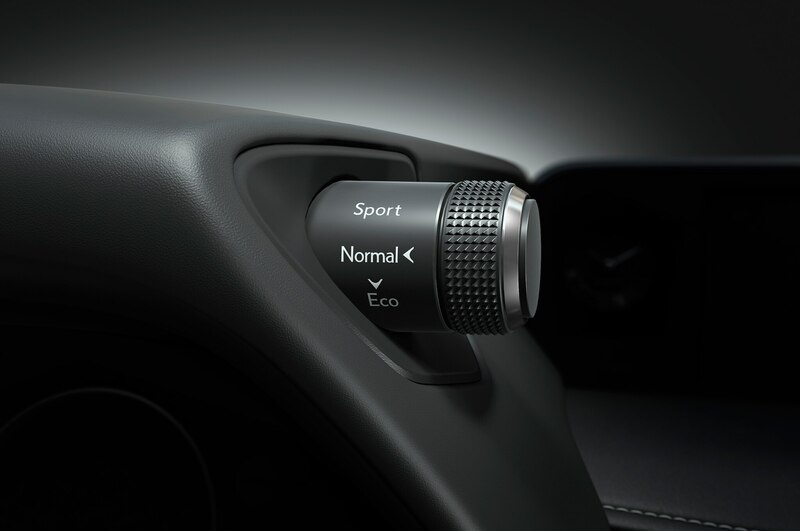 A total of 176 hp is on tap. 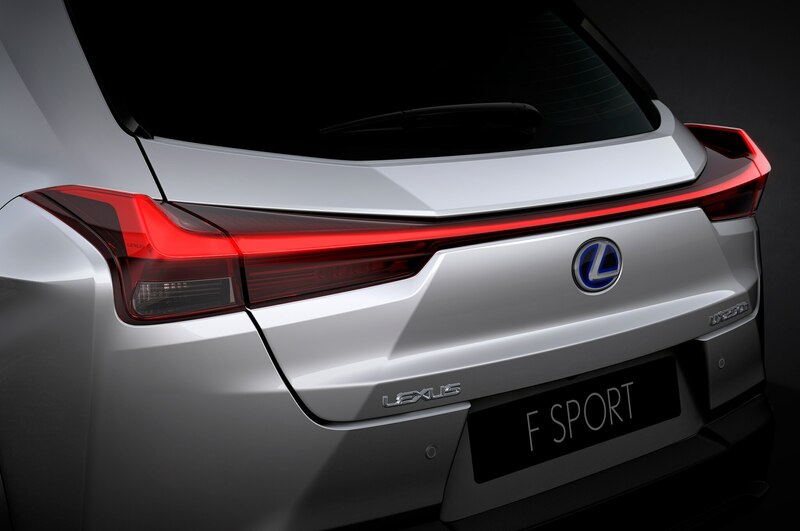 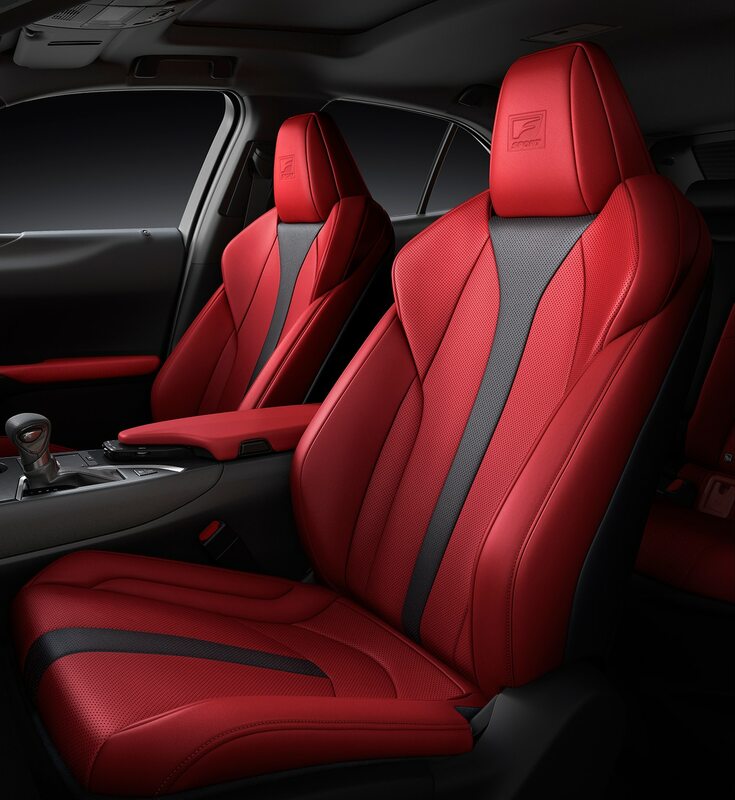 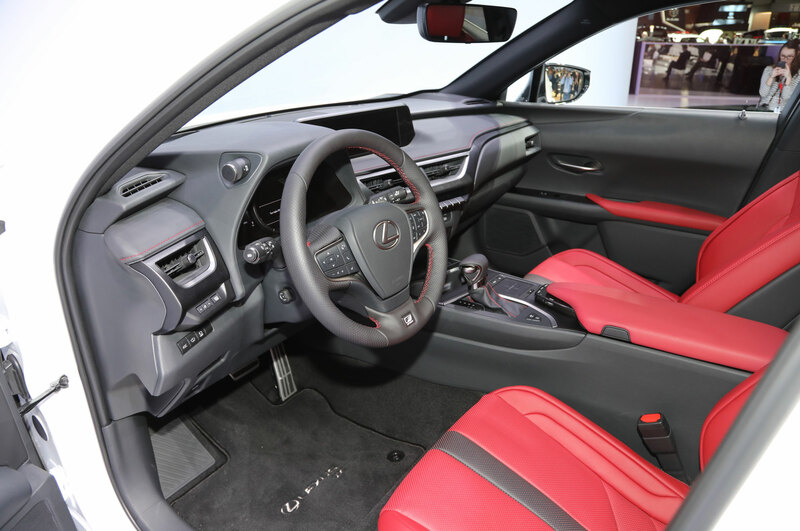 For improved performance, Lexus is offering F Sport versions of the UX 200 and UX 250h. 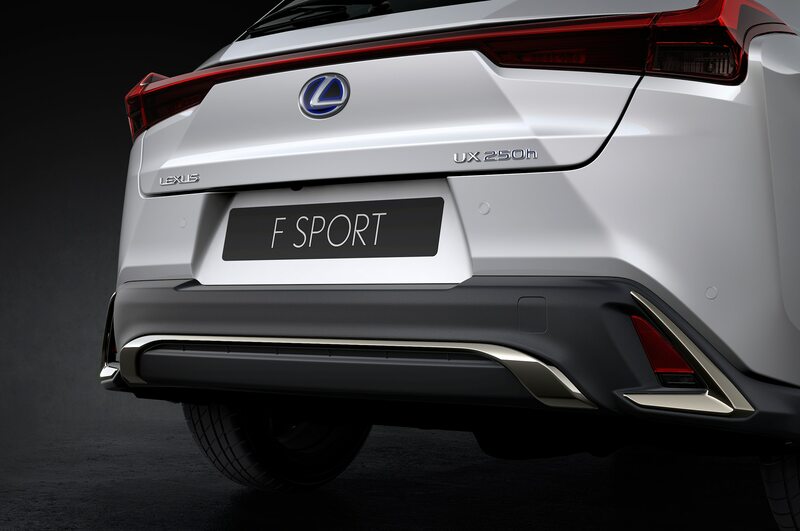 Buyers can choose an F Sport suspension or the Adaptive Variable Suspension that adjusts damping force to the driving situation, minimizing roll through corners and bolstering ride quality in straight-line driving. 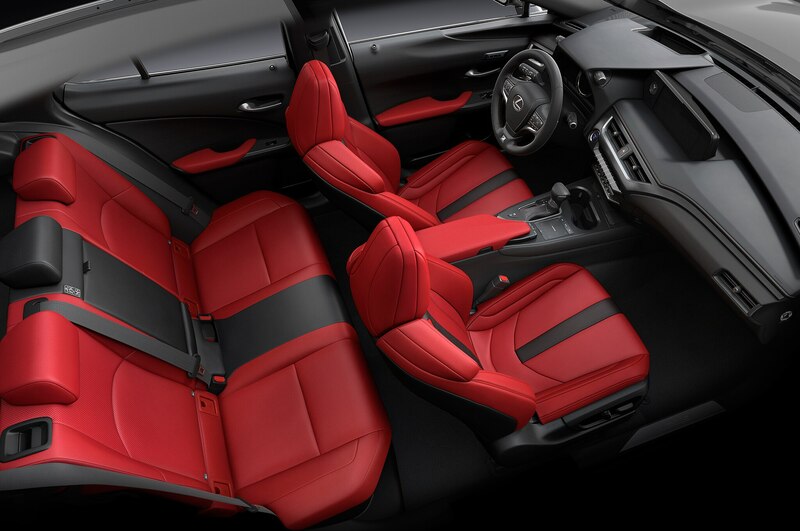 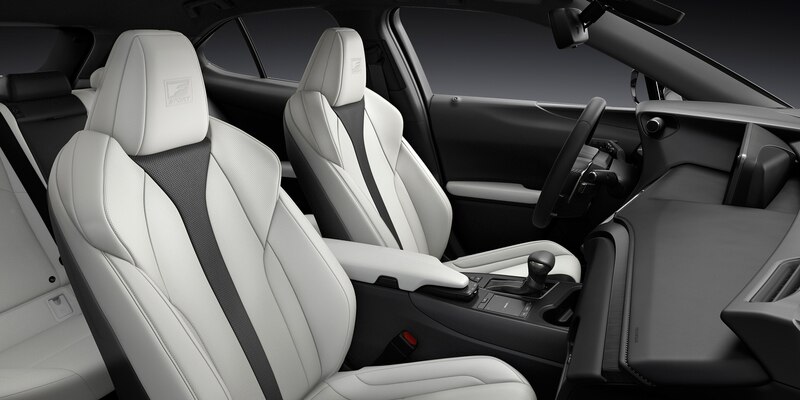 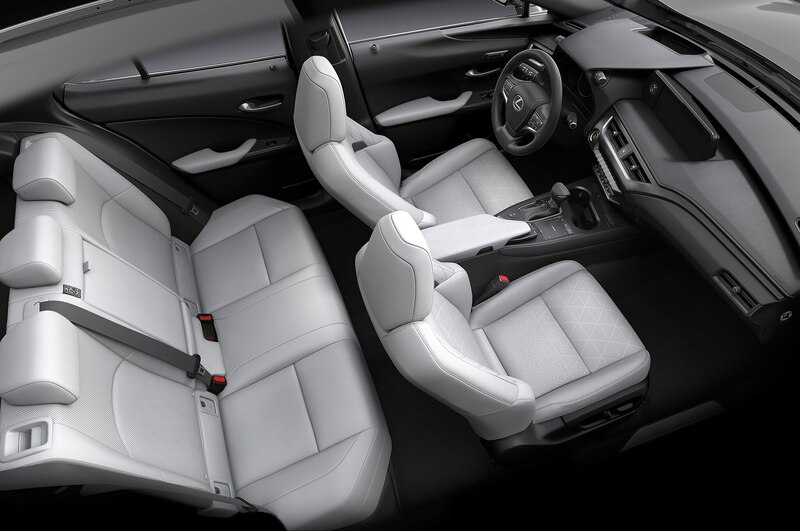 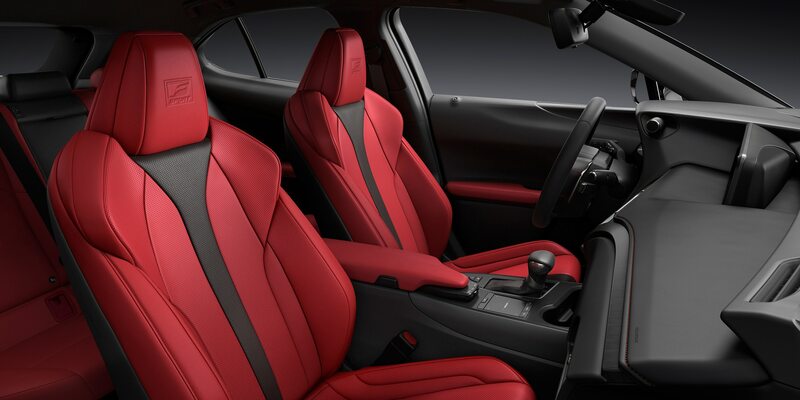 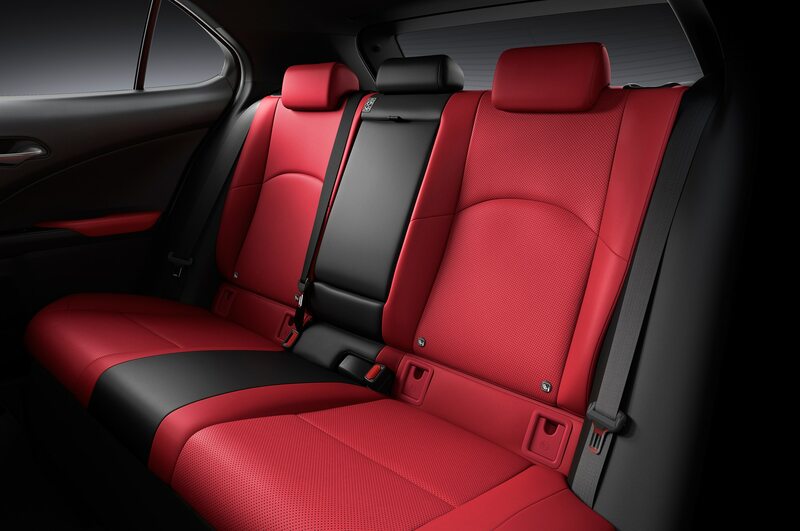 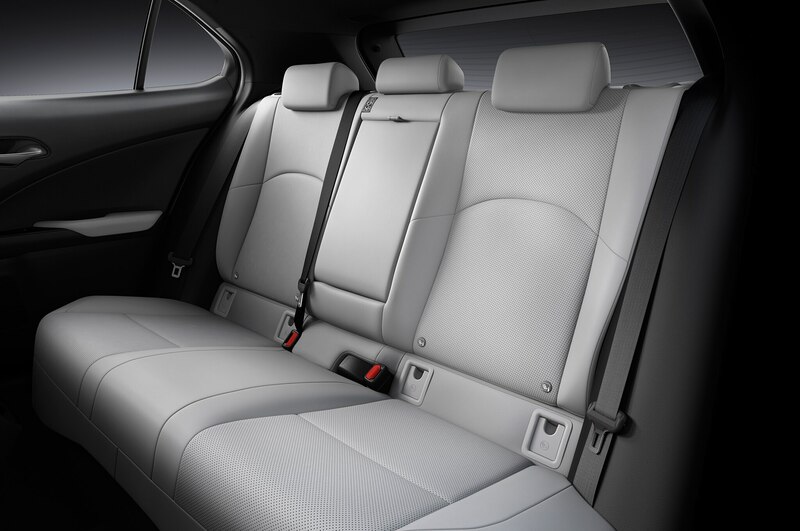 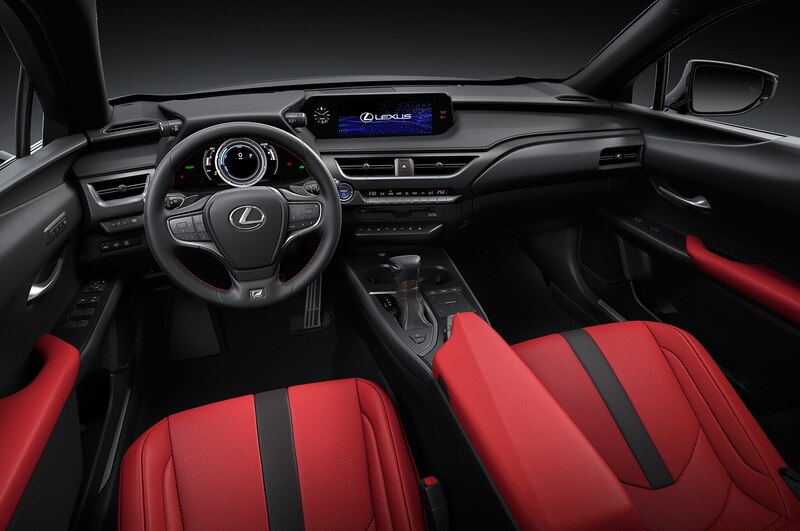 The F Sport model also gets an exclusive rear bumper design, black trim on the front and rear moldings, and front sport seats, F Sport steering wheel, and aluminum pedals. 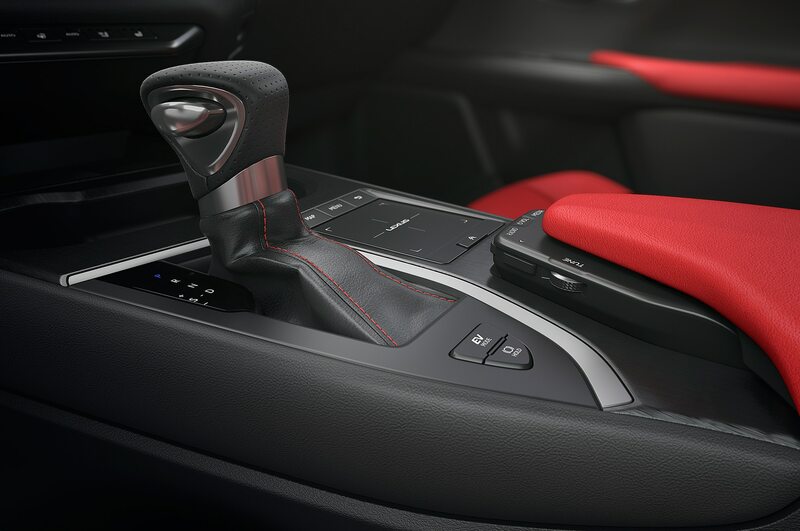 If you’re still concerned about the lack of sportiness of a CVT, an Active Sound Control feature can at least mimic the sound of up-and-down shifts of a regular automatic transmission. 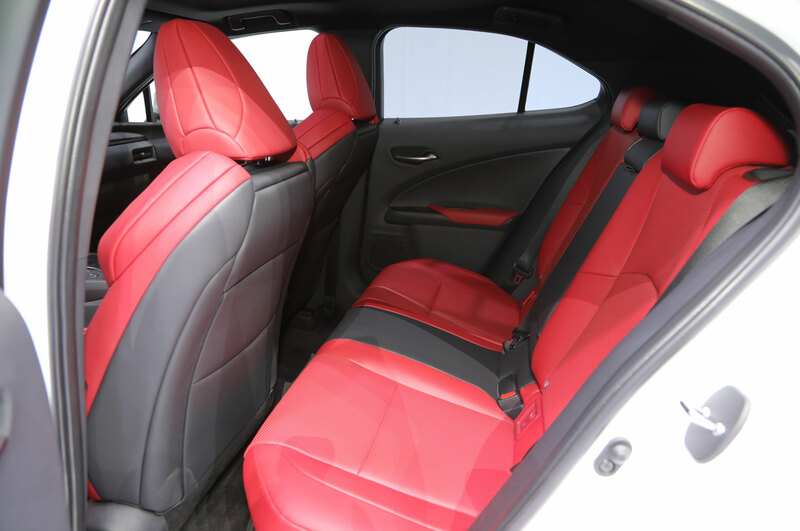 Inside the cabin, buyers can choose among four different colors and two different grain patterns. One trim is inspired by the grain of a Japanese paper called washi, while a leather grain finish is also available. 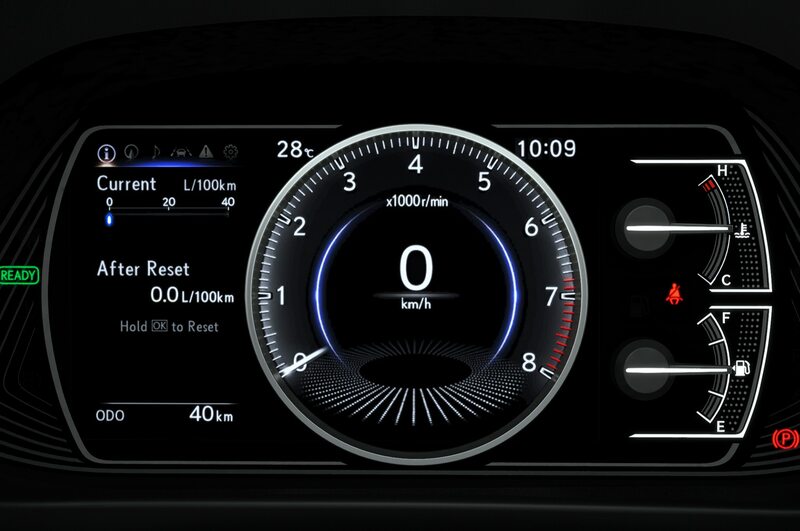 The model also features a unique instrument panel with an upper section that appears to extend out beyond the windshield. 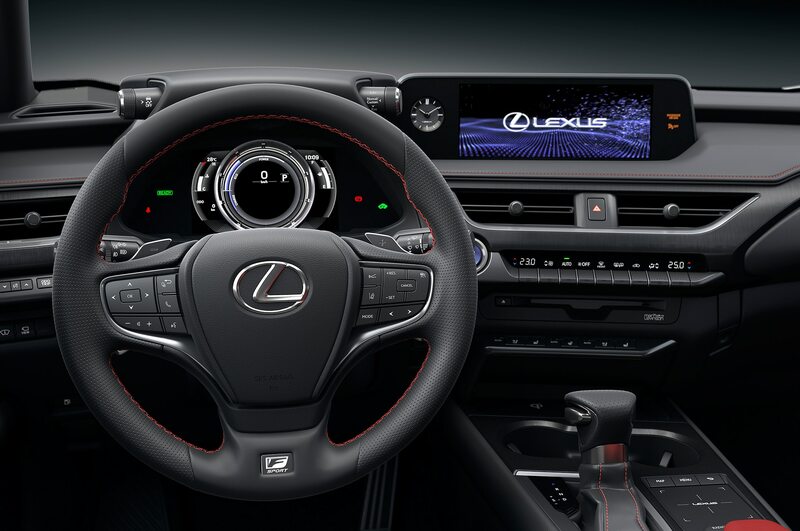 The low design of the instrument panel as well as the thin A-pillar moldings are intended to help increase visibility. 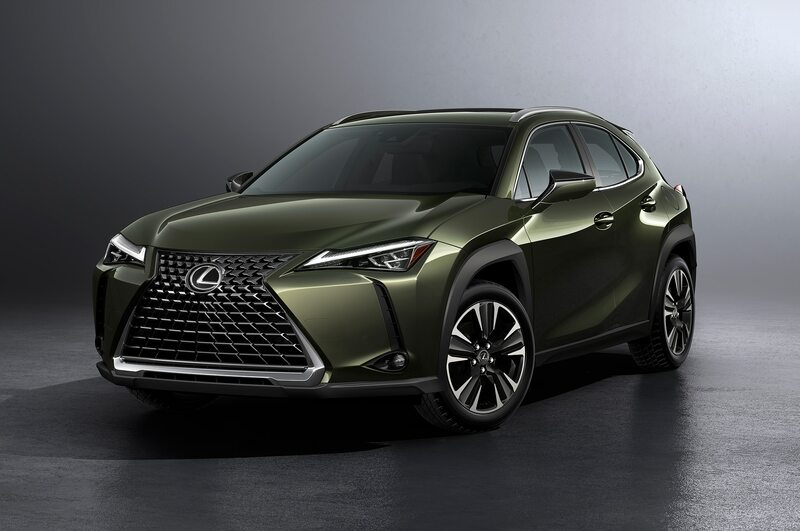 Despite its status as an entry-level crossover, available safety features include adaptive cruise control, lane tracing assist that supports the driver while steering, adaptive high beams, and road sign assist. 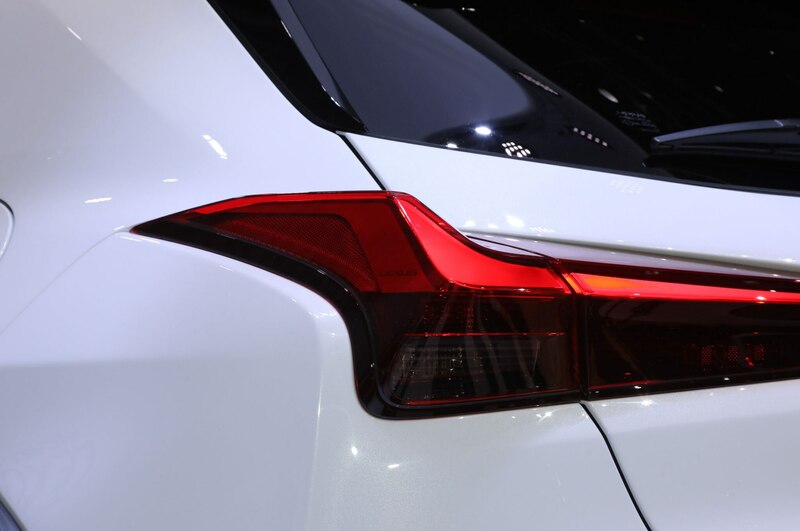 A Pre-Collision system has been improved to detect pedestrians at night and recognize cyclists during the day. 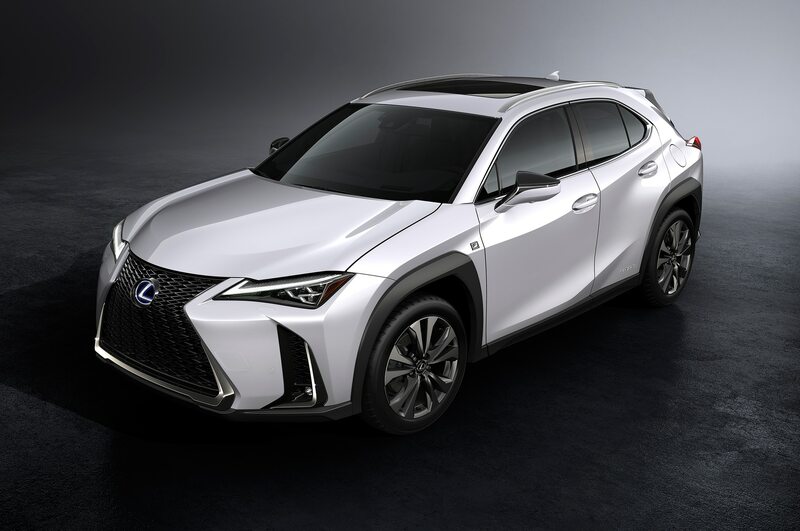 Pricing for the 2019 Lexus UX will be announced at a later date.